Our apartments at Tiszakeszi are in a tranquil and quiet surroundings 80 yards(meters) from the River Tisza. In every room we have bathrooms,wc,satelite TV and DVD,also well equipped kitchens with frige-freezer. While resting and enjoying the fress air while fishing,walking, relaxing,also can use our wellness services such as aroma therapy,infra sauna,jacuzzy and the outside pool. Sporting and enjoyment facilities include bycicle renting,horse-riding and quad bike rentals. In our garden you can enjoy our BBQ and outside cooking facilities as well as our special large outside avon for roasting. Free parking avaiable inside our closed courtyard with CCTV for security. We received and proud of our 4* sunflower ratings. Special programms and activities can be arranged specially as desired by guests. Visits to theTraditional Hungarian Greybulls drawn coaches arranged. Fishing trips avaiable on the Living River Tisza. 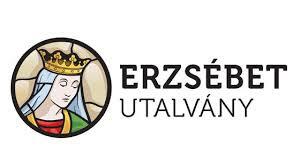 Tasting programs of the famous and competition-certfied Hungarian Fruit Snapps and vines. Hungarian Folk Dancing Group shows can also be arranged as desired by appointment. Traditional pigslauter and BBQ cooking by special requests. Individual special programs and requests can also be pre-arranged. Private parties of up to 30 persons can be held in our function room with music,TV,karioke, lazer and smoke shows and disco lights. We also have special offers in rooms for 2 adult families with 2 children,up to 4 years old are free and 4-12 years half price discounts are given. Larger families and groups are given further special discounts. Everyone are invited to our Special Guests Welcome Free Drinks. Have a look our current package offers.